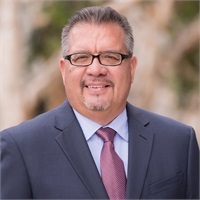 Michael Alcala began his career in the financial markets in 1983, in the Operations Department for Lehman Brothers, Kuhn and Loeb. As a Wire Operator, he processed client transfers and handled all client transactions. In 1990, he joined Salomon Smith Barney as a Cashier in the Operations Department, which included, handling of all cashiering transactions and the opening of new accounts. Due to his vast experience in the stock brokerage industry, he was hired by Wertheim Schroders as an assistant operations manager in 1993. His duties included overseeing the day-to-day operations and the coordination of staff and sales assistants on procedures and customer-related issues. In 2000, Salomon Smith Barney acquired Wertheim Schroders, which enabled Michael to enhance his career with a wide array of employee educational studies and seminars on the changes taking place in the industry. Michael joined the advisors of Legacy Wealth Partners in 2006. He is responsible for all of the daily activities associated with processing client investment transactions, including opening new accounts, processing trades, distribution requests, and account transfers. In addition, he is always available to assist clients with any service requests. Michael was born in Los Angeles and served in the U.S. Navy from 1977 to 1981. During his free time, he enjoys attending USC Football and Los Angeles Dodgers baseball games. He likes to spend his time outdoors, hiking, cycling, or camping. His favorite destinations include summer in Palm Springs, or Mexico. Michael resides in Oxnard Shores, California. He enjoys the beach and a variety of outdoor activities, including biking, kayaking and hiking.